India's leading charity Child Rights and You UK (CRY UK) brought together various companies to compete in England's favourite sport, football. 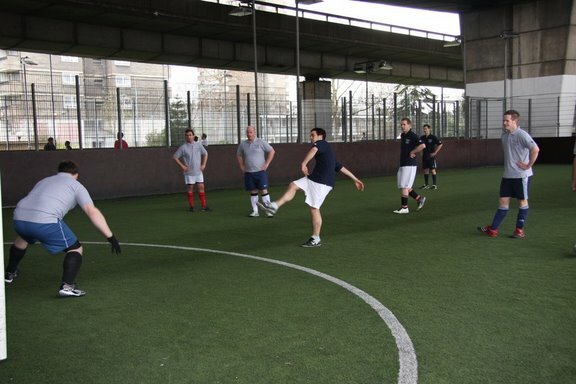 CRY organised its first CRY Corporate Football Tournament in London on 29 March. Teams from 8 companies competed on the football field for the cause of disadvantaged children in India. CRY's constant effort is to provide individuals and organisations a platform for collective action in reaching out to underprivileged children. This tournament proved to be one such platform that brought together corporate and professionals to pledge their support towards changing the lives of deprived Indian children. The participating companies were from the realty, banking and consulting sectors: Accenture, CBRE, Cushman & Wakefield, DTZ, ING, ICICI Bank, Tishman Speyer and UBS. Berwin Leighton Paisner LLP (BLP), a premier City of London law firm, was the main sponsor, which ensured that all of £ 6000 raised from the participating teams would be donated to various children's projects in India. Jonathan Morris, Head of BLP's India Focus Group, said: "This was an excellent event. We are proud to be associated with such a wonderful charity as CRY." Accenture and ING entered the final by winning against Cushman & Wakefield and CBRE respectively in the semi-final. Even though UBS did not reach the semi-final it scored 19 goals, which is the highest number of goals of the tournament. 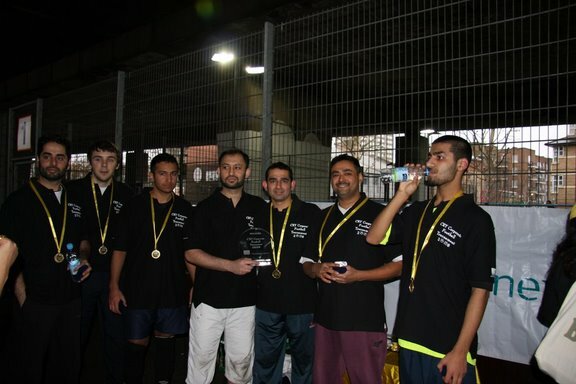 The teams enjoyed the tournament and felt happy to play for a cause. Jehangir from Accenture said: "I love football and love children...and a good way to combine both." Arindham Mitra from CBRE said: "I don't get much to do for charity though I want to .. so CRY actually gave me an excellent opportunity to do something for children. Thank you CRY." Poonam Joshi - Fundraising Manager CRY U.K., said: "The idea is to work towards breaking social barriers such as caste, class, religion and gender that hamper the development of underprivileged children in India. To some extent this tournament will help us achieve this. With the help of CRY UK volunteers and support from various companies this has been made possible. If each one of us pledges to stand up for child rights and volunteers our time, every child in this world will be ensured a childhood." Child Rights and You (CRY) UK is a non-profit organization, that works towards restoring basic rights to under-privileged children - their rights to survival, participation, development and protection. It endeavours to create effective grassroots and change movements that empower marginalized communities to build sustainable futures for their children. It works towards eradicating the root causes of injustice towards children and makes sure that they have access to schools, good health and experience a childhood; essentially seeking permanent solutions that can bring about lasting change. CRY UK partners with Child Rights and You, a leading child rights organisation in India, to ensure the quality of each supported initiative. CRY has over the past 29 years developed highly effective grant management systems that have gained the trust of donors worldwide. Berwin Leighton Paisner LLP is a premier, full service law firm with over 650 lawyers based in offices in London, Brussels, Paris and Singapore. We also actively manage non-exclusive relationships with a panel of over 100 preferred firms in 50 countries. Clients include FTSE 100 companies and financial institutions, major multinationals, the public sector, entrepreneurial private businesses and individuals. The firm was Chambers' 'UK Law Firm of the Year' in 2005 and The Lawyer's 'Law Firm of the Year' in 2004. BLP's India Focus Group is dedicated to providing a comprehensive service to both our Indian clients and our international clients doing business in India. We are committed to helping our clients achieve their commercial objectives in the diverse Indian market place. Our combination of legal and industry knowledge and our understanding of the Indian business and cultural environment enables us to work effectively throughout India.